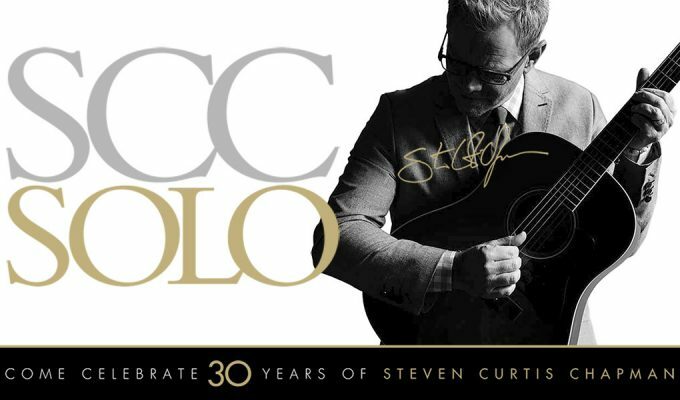 STEVEN CURTIS CHAPMAN: In a career that has spanned 30 years, Steven Curtis Chapman is the most awarded artist in Christian music history with 58 Gospel Music Association Dove Awards, five GRAMMYs®, an American Music Award, 48 No. 1 singles, selling over 11 million albums, with ten RIAA-certified gold and platinum albums to his credit. Hehas been on“Good Morning America,”“CBS Sunday Morning,”CNN, MSNBC, “60 Minutes,” “E! Entertainment”, “The Today Show,”“Fox & Friends,”“CBS This Morning,”“The Tonight Show,” Glenn Beck’s “The Blaze,”as well as appearing in the pages of People, Billboard, Parents Magazine, and more. Steven released his memoir, Between Heaven & The Real World, on March 7, 2017 (Revell) and appeared exclusively on “Fox & Friends”to talk about the book. Between Heaven & The Real World also made the Publisher’s Weekly best-sellers list two times and the Evangelical Christian Publishers Association best-sellers list. With countless tours under his belt, Chapman continues performing on the road atnumerous festivals and events, currently headlining the third season of SCC SOLO, A Night of Hits, History and Influences. Chapman recently wrapped his third season hosting the monthly “Sam’s Place: Music For The Spirit” concert series at Nashville’s historic Ryman Auditorium, where a portion of each ticket sale went to Show Hope, a movement Chapman and his wife, Mary Beth, started to care for orphans.